Chicago Traffic Law Attorney | Johnson & Johnson, Ltd. Skilled Chicago traffic law attorney. Traffic tickets are very common and happen to everyone from time to time. 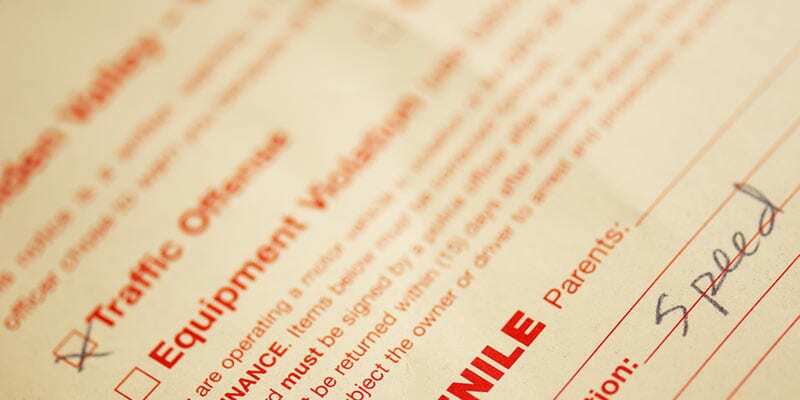 Aside from being annoying, tickets can have a negative impact on your driving record. If you accumulate too many tickets you may even lose your driver’s license. You will also face increased auto insurance rates. The good news is, you can fight a traffic ticket. With help from a skilled Chicago traffic law attorney you may be able to beat the traffic ticket and resolve the situation with as little consequence as possible. Your Chicago traffic law attorney will evaluate your traffic ticket case and determine the best way to proceed. The experienced Chicago traffic law attorneys at Johnson & Johnson, Ltd. want to help you beat your traffic ticket. Without a Chicago traffic law attorney present, it can be hard to know how to conduct yourself during a traffic stop. The follow are a few tips that should be followed during a traffic stop. If you are stopped for a traffic violation, it is always best to follow directions as provided by the police officer. Do not leave your vehicle as the officer will approach you first. You will be asked to provide your driver’s license, vehicle registration, and proof of insurance. Failure to produce any of these items could result in an additional traffic ticket. If you are given a traffic ticket you will no longer need to relinquish your driver’s license as in the past. If you do not agree with the officer you should not protest the traffic ticket. You can ask questions, however, the officer may not necessarily provide answers. The correct forum to dispute a ticket is in court. Your Chicago traffic law attorney will assist in defending your case. In Illinois, if you receive too many traffic tickets in a period of six months you could face a driver’s license suspension or even revocation. For this reason, even minor traffic offenses should be addressed in court with the help from a Chicago traffic law attorney. If you receive a traffic ticket you may be inclined to simply pay it. However you should be cautioned that by paying the traffic ticket you will be automatically considered guilty of the infringement and the traffic ticket will go on your record. This could be problematic later on so you may want to take the matter to court with help from a skilled Chicago traffic law attorney. If you want to go to court, you will request a hearing and appear at traffic court on your assigned day and time. You must be prepared for your hearing at this time so your Chicago traffic law attorney should attend as well. It is important to know that if you simply send your ticket payment into the court you are actually admitting guilt. The fines apply to your ticket and you will face a couple of other penalties. A paid ticket reflects negatively on your driving record. If you drive commercially, this could have serious repercussions which may cause problems with your employer. Additionally, your Chicago traffic law attorney will inform you that the traffic ticket will show up when insurance companies check your driving record and you could end up paying substantially more for car insurance. If you have a number of infractions you may be denied insurance altogether. The only way to make sure that you have a chance to prove you are not guilty is by taking the matter to court with the help form a Chicago traffic law attorney. Those who drive for a living need to be extremely aware of the potential problems caused by traffic tickets and should always have representation by a Chicago traffic law attorney. If you are a commercial driver you must be sure to stay within not only the legal guidelines, but also the guidelines that are part of your company regulations. Many companies have limits on the number of tickets that a driver may have on his or her driving record. For this reason, it is necessary to take every traffic ticket to court, regardless of the severity of the infraction. If you need to go to court, it is best to seek representation from a reputable Chicago traffic law attorney. You can take your traffic ticket to court and win! Traffic court can be a daunting place, especially if you have never been there before. You need to be completely ready with a winning defense if you expect to achieve success in front of a judge. The best way to accomplish this is to have a Chicago traffic law attorney represent you. Your Chicago traffic law attorney knows how to handle litigation and will do whatever is necessary to protect your rights. There are many different ways to go about presenting a good defense, depending on the specific details of the ticket. Remember that you only have a few minutes to convince the judge of your innocence. Tickets for traffic violations may not seem important, but they may have long-lasting costs to you and your ability to drive. Taking your traffic ticket to court is a good option because you can provide a winning defense. If you lose your case you will be found guilty and are subject to the penalties for the traffic ticket as well as court costs. You will also have a moving violation on your driving record. For these reasons, consult with a Chicago traffic law attorney as soon as possible after receiving the traffic ticket. The skillful Chicago traffic law attorneys at Johnson & Johnson, Ltd. have been successfully representing clients in traffic matters for more than 35 years. We have the expertise and knowledge to resolve your traffic ticket in a positive manner. Contact our legal team at Johnson & Johnson, Ltd. today to speak with a Chicago traffic law attorney.